Spirit of Iron: Genesis Engine Demo v0.1.1a Released! Genesis Engine Demo v0.1.1a Released! Zoom button – Once generation is complete, the map displays fit to the screen. Hit the zoom button to view it at 100% scale, and drag it around. 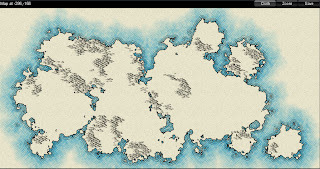 Cloth button – It no longer automatically generates the cloth map view. Now it waits for you to hit the Cloth button, and once it’s generated, you can use this button to toggle between the cloth view and detail view. Continent Shadows – During the generation process, it displays a “shadow” of where the continents will be located. Continent Shuffle – At the beginning of the generation process, the continents push away from each other (and the wall) just a bit, to cause them to overlap less. Mountains react less to continent size – It used to be that mountains would be smaller, more detailed and closer to the coastline on smaller continents. This is no longer the case. 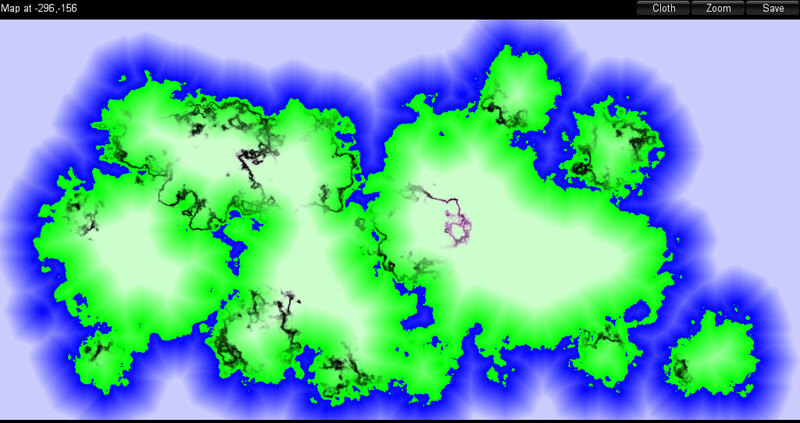 Smarter mountain locations – It used to be that mountains were generated in a full loop around every continent, but then their height, and presence, on a given pixel was determined by a global noise map. Now, each continent places mountains around some portion of it’s arc, and the global noise map, while still present, has a lot less affect. Sectors – The map is now broken up into sectors, with each sector being 256×256 in size. This allows for much larger maps, and a better framerate during generation. New File Format – This follows with the sectors change. It can still load v0.1.0a files, but it will save in the new format. Localization Support – All user-facing text is now stored in external data files, making it easier to edit and localize. The image exporter has been temporarily removed. Moving to sectors created some significant challenges in exporting the whole map as one image. I think I have a solution, but it hasn’t been implemented yet.